Ryan's Smashing Life: Put It In Your Mind - HIS NAME IS ALIVE's new record to be released in just days! Put It In Your Mind - HIS NAME IS ALIVE's new record to be released in just days! 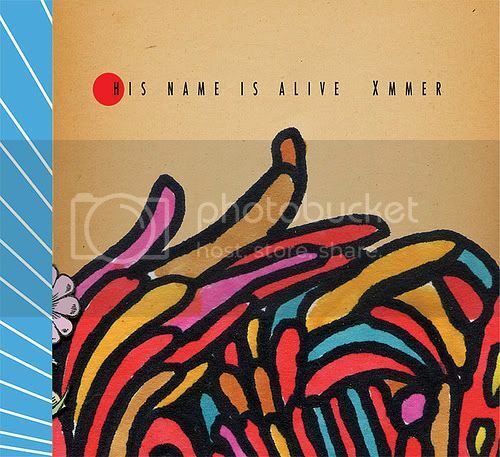 His Name is Alive is a quality Michigan band producing some pretty mind-bending, exotic music. The band does some high-end genre jumping (for examples of this -dwell for a minute on the diverse but quality records released over the years by Yo La Tengo and David Bowie.) HNIA is about to release the new record XMMER. I suggest you ask for it by name as I fear even your finer indie record stores may accidentally leave this one of their buyer lists. Close your eyes and listen to His Name is Alive's "Put It In Your Mind." First of all just know the song is an obvious guitar homage. There are no apologies needed - just an understanding in fact. Embrace the quality - get hypnotized by the track and production. By the time you have finished listening you come to realize the album should be on "repeat." There will be no need to get up from your seat anytime soon. i've been a hnia fan since 95 or so and i simply love the way war defever creates his music. i had the chance to meet him back in 99 when i was in london and i feel really lucky to keep in touch with him!